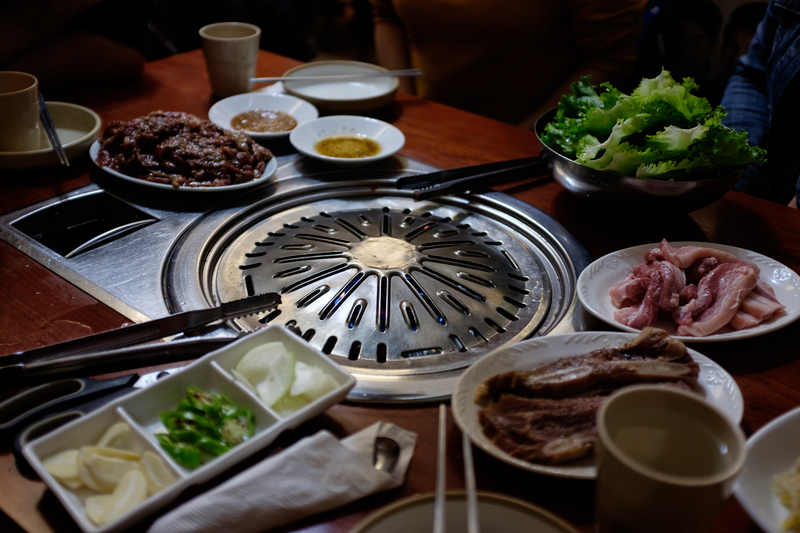 After a party, my friends and I were in the mood for some late night Korean BBQ so we headed to Christie area and stopped by the unassuming Bryan’s BBQ. Since we technically already ate some food beforehand, we didn’t do the All You Can Eat and ordered a la carte instead. We tried the pork belly, pork ribs and bulgogi. There were sides of sweet potato, kimchi and radish. There was also jalapeños, onions, lettuce and garlic that could be thrown onto the grill or just eaten I guess. We also ordered a side vegetable gyozas which were delicious and a kimchi pancake thing. The meat was nicely marinated so once cooked filled our stomachs with our craving for Korean BBQ. I can’t speak on behalf of the All-You-Can-Eat menu seeing as we didn’t do it but what we had was decent.